I think the number of good retcons are very few in number and most of them were done by Alan Moore. But…yeeks, making Captain America a Hydra agent. Might as well make Bruce Wayne the guy who ordered the hit on his parents instead. Yes Pat Mills’ Marshal Law did that but that was satire dammit. I can think of some others – Claremont’s work on Magneto, Busiek’s retcon on Jean Grey gave us Inferno, Wolverine’s claws being natural, etc. Well, i never read the early pre-Claremont issues so I didn’t know how much Claremont changed the stories. But you know, Alan Moore probably had an “anxiety of influence” with Claremont. Like his Miracleman, the climax of the story with this evil Kid Miracleman character is quite similar to the Dark Phoenix Saga. 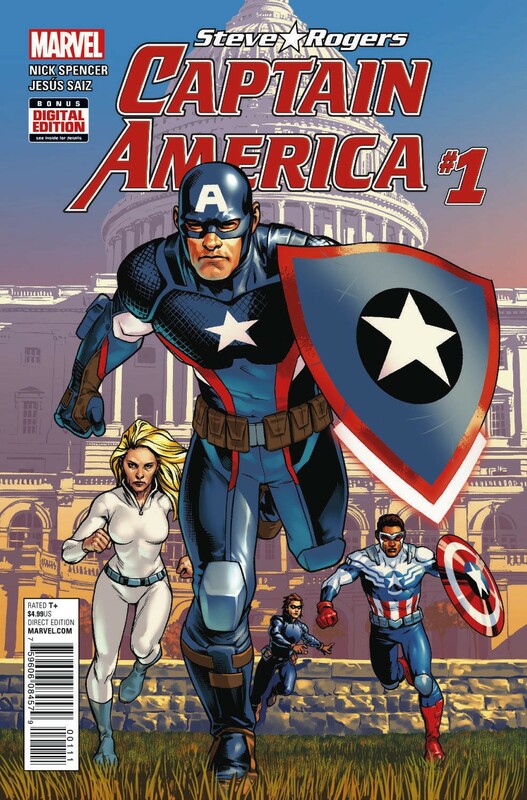 It may be that I will not like this story (much like I did not like the poor direction of Sam Wilson: Captain America, so I dropped that title), but I also think that it is too early to see what the events as shown in one issue really mean. It is kind of like looking at the cover on one of those dickish Superman covers from the Silver Age and just announcing that since Superman would never let Jimmy Olsen die of thirst or whatever you won’t read Superman anymore. The pleasure (or displeasure) is in how it works out (or doesn’t). More specifically I wonder how much this may tie into the whole Civil War II event and the recent intimations that Maria Hill and SHIELD were using Cosmic Cube technology to alter reality – not sure if those two are related (I don’t read enough connected books, but I can imagine that they are). In which case, I have to wonder if the echo with Red Skull’s origin is a hint at the unintended consequences of altering reality? I know that is just empty speculation, but I figure if I can work something out, surely someone like Nick Spencer can, too. I actually wasn’t going to buy Steve Rogers: Captain America because I dislike the idea of undermining Sam Wilson as Captain America even further – but now I am not so sure. I am curious of how it will work out. Major alterations to Cap’s history right after a huge interaction with a cosmic cube? The two couldn’t possibly be related.